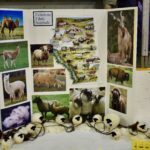 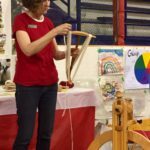 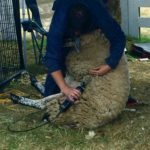 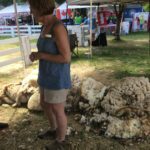 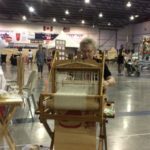 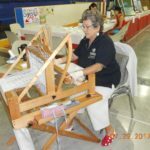 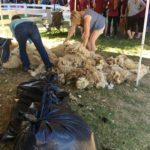 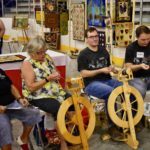 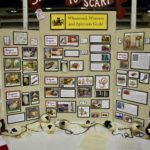 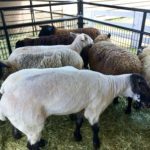 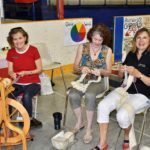 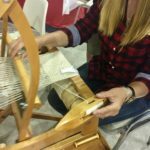 The Whonnock Weavers and Spinners Guild did a sheep to scarf project as a group to celebrate Canada’s 150th at Country Fest 2017. 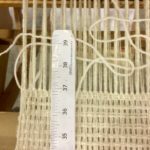 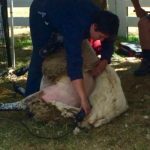 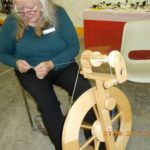 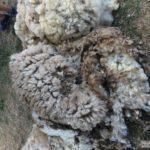 We purchased a fleece earlier this year and we skirted it, we washed it, we combed it, and we spun it in to yarn. 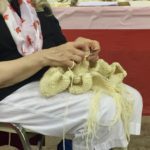 From that yarn we knitted , we crocheted and we wove with it. 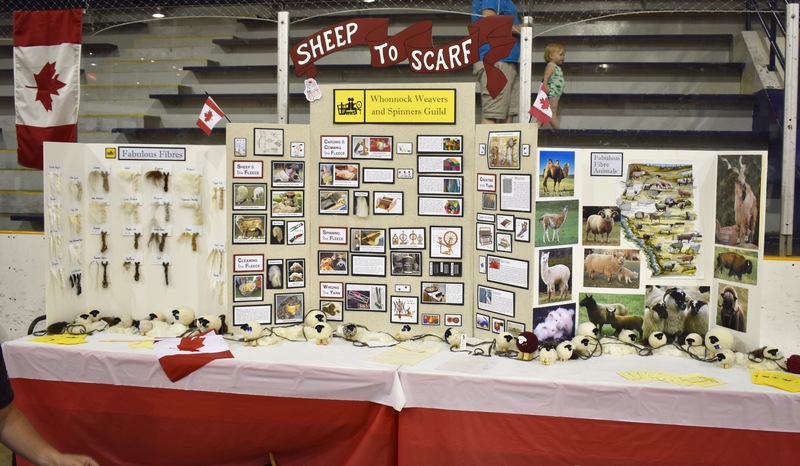 At Country Fest we demonstrated all of this and used up the last of what we had. 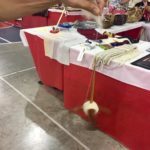 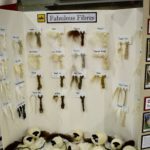 Previous Previous post: Spun from the hair of a bear!